Class 2 sample paper & practice questions for International Informatics Olympiad (IIO) level 1 are given below. Syllabus for level 1 is also mentioned for these exams. You can refer these sample paper & quiz for preparing for the exam. 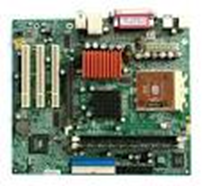 Which image represents motherboard from the given options? A machine that can think like human. A programmable machine that receives input, stores and manipulates data//information, and provides output in a useful format. A machine that have monitor, CPU, and keyboard and can think. Which key is used for entering a space between two words?